Professional vocal microphone with soft touch surface! 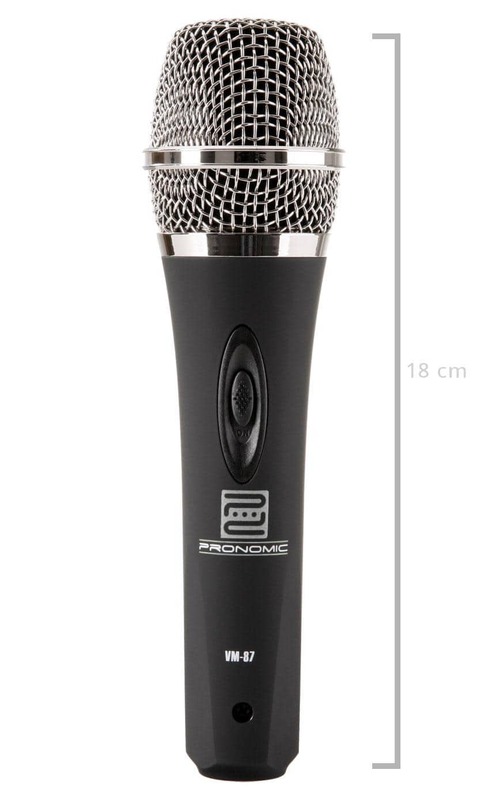 The new Pronomic VM-87 is a dynamic vocal microphone which in its design and sound is geared to legendary role models. The microphone is perfectly suitable to be used as a vocal microphone on stage, as the frequency response of the VM-87 was especially optimised for voice. 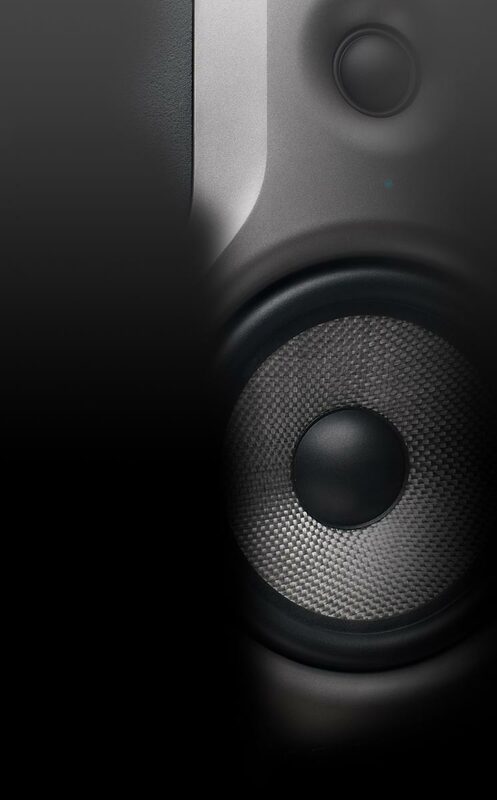 The sturdy supercardioid characteristic also provides for an ideal feedback protection when using stage monitors. Apart from the advantages in regard to sound, the VM-87 also courageously defies tough everyday on stage operation. 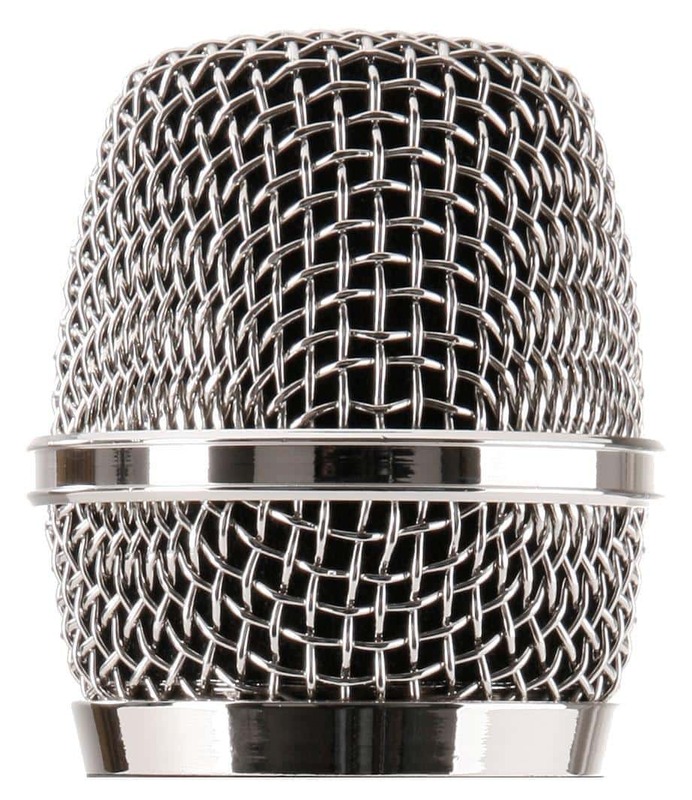 The sturdy diecast housing and the robust metal grille ideally protect the membrane capsule against vibrations so that occasional drops do not have any effect on the functional efficiency of the microphone. The windbreak integrated in the grille also filters strong air movements such as pop sounds ("B", "P", "T", etc.) or wind noises beforehand. The pleasant soft touch surface supplies a noble look and with the convenient on/off switch, the VM-87 can be conveniently muted from on stage. Delivery of the VM-58 already includes a suitable stand adapter with 5/8" thread and a padded artificial leather case. Recht ähnlich dem Beyerdynamics OPUS 29 S. Das Pronomic VM-87 ist jedoch billiger und gefällt mir vom Klang erheblich besser. Sehr rund und sehr warm, aber dennoch präzise und ausgewogen. Ist vielleicht optisch nicht der Knüller, aber dennoch: Seitdem ich dieses Mikrofon besitze, benutze ich kein anderes mehr. Deshalb habe ich mir auch direkt ein zweites zugelegt. Das Mikrofon ist toll, hat eine sehr gute Qualität sowohl in der Aufnahme, wie auch in der Verarbeitung. Was den Halter betrifft, so passt dieser einwandfrei! Tolles Profi-Mikro zum günstigen Preis.. es liegt auch sehr gut in der Hand. Aber der mitgelieferte Halter passt 100% nicht ;-).. da ich aber eh ohne Mikroständer singe, ist es nicht so schlimm. Absolut Klasse! Für diesen Preis absolut unschlagbar. Liegt auch sehr gut in der Hand.